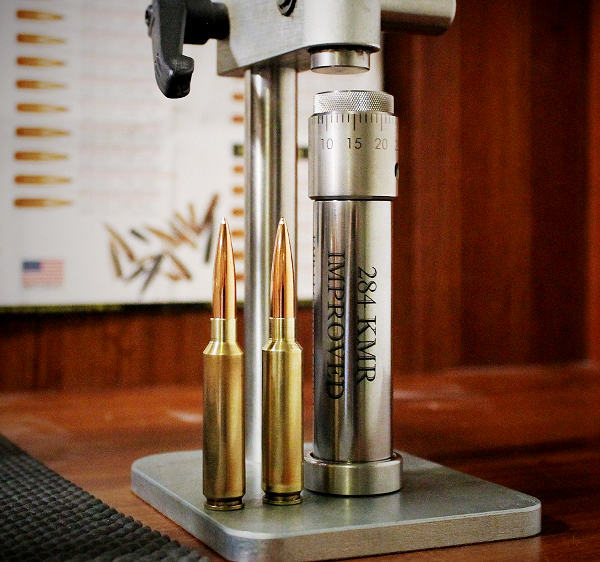 Alex Sitman of Master Class Stocks in Pennsylvania is widely considered one of the finest rifle-stock craftsmen in the country, if not the world. Alex’s workmanship and dedication to excellence is top-of-the-line. Alex normally custom-fits each stock to his customer precisely. Many hours are dedicated to stock prep and inletting, and his bedding jobs are flawless. Each stock is exactingly hand-crafted with great attention to detail, and then the stock is “dressed” in the customer’s choice of finishes. Doing all that takes time — a lot of time. That’s why Master Class Stocks has a long waiting list, and it can take months before a big job is completed. But when Alex is involved, you can count on the final product being a work of stock-making art. Here’s an example. 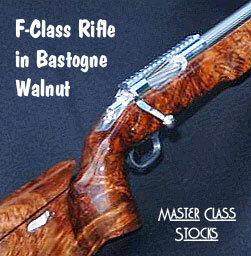 Alex recently stocked an F-Class rifle using eye-popping, exhibition-grade Bastogne walnut. The wood was sourced from Cecil Fredi of GunstockBlanks.com. Alex says: “Cecil’s wood is some of the best I’ve ever used. This blank cost over $1000.00, but it was truly spectacular.” Since the blank was less than 3″ wide, Alex (with assistance from 8-time NRA High Power Champion Carl Bernosky) laminated on the 3″-wide forearm “wings” using spare wood left after the blank was cut. See how Alex and Carl carefully matched the grain of the wood on the forearm. And note how perfectly the adjustable cheek-piece is fitted. If you want a stock like this on your next rifle, contact Alex Sitman at Master Class Stocks, (814) 742-7868. 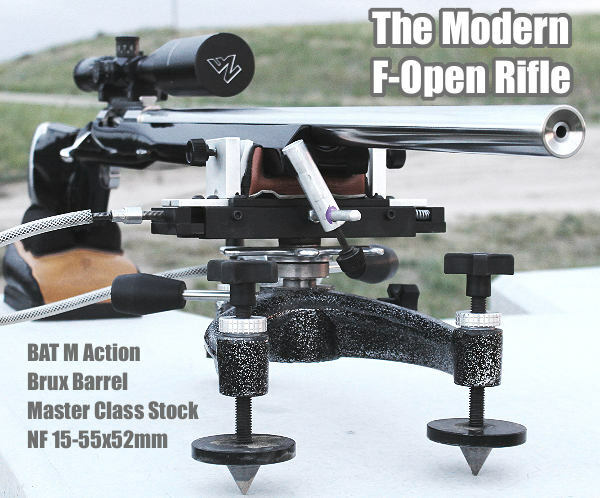 Share the post "Exhibition Grade F-Open Rifle from Master Class Stocks"
Emil Kovan is one of the top F-Class shooters in the world. He won the 2014 United States F-Open Championship. Earlier this month Emil finished second in F-Open Division at the 2016 Canadian National F-Class Championship in Ontario. Emil actually tied Open-class winner Shiraz Balolia for overall score AND “V”-count, but Emil was awarded second on the tie-breaker. 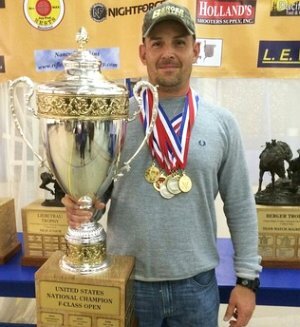 Share the post "Anatomy of the Modern F-Open Rifle"
Most shooters know Carl Bernosky as a 10-time National High Power Rifle champion. But you may not realize that Carl is also a very talented stock-maker and rifle-builder. Carl crafts a wide variety of wood and wood laminate stocks for competition as well as hunting. He also crafts many stocks for Alex Sitman of Master Class Stocks. 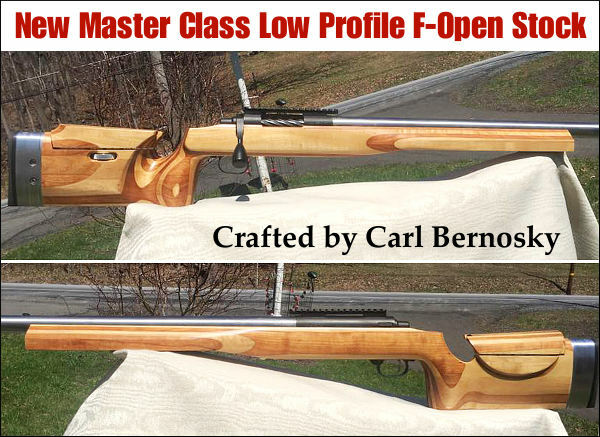 Here is a new Master Class Low-Profile F-Open Stock crafted by Carl Bernosky. It is made from a Cherry/Maple wood laminate. 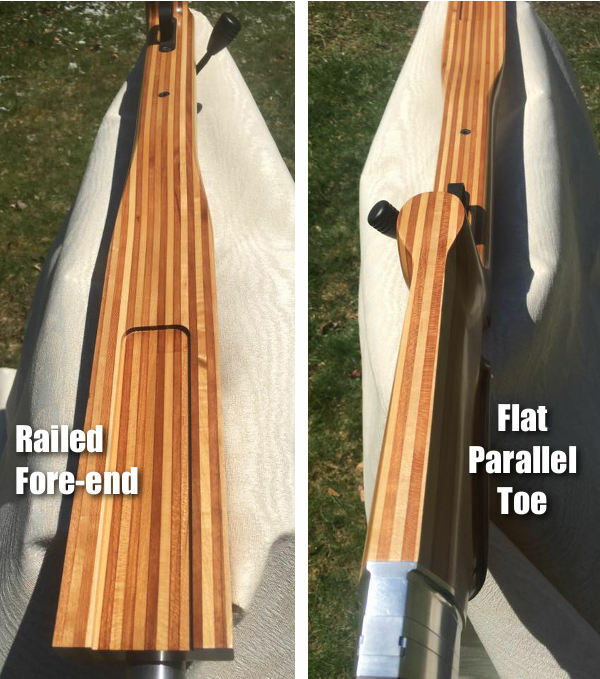 This design features a railed fore-end along with a flat, parallel toe for improved tracking and stability on the bags. The front section of the fore-arm has a low profile. 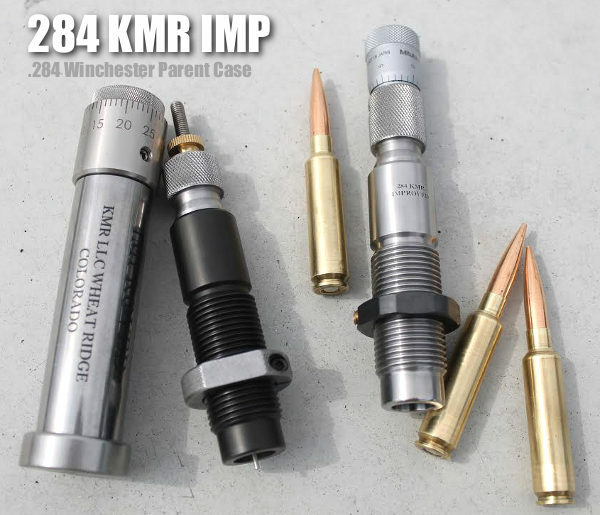 This allows the barrel bore axis to ride lower. That helps reduce hop and helps the gun recoil straight back. 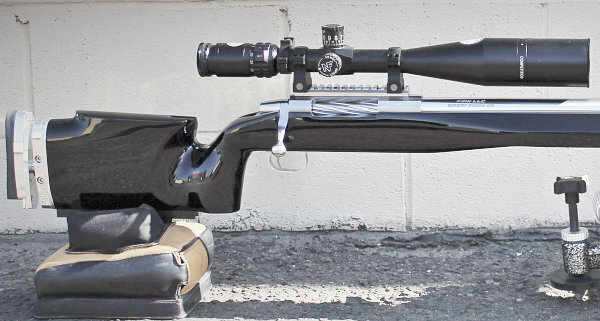 For more information on this low-profile F-Open stock design, visit Carl Bernosky’s Facebook Page and MasterClassStocks.com. Note that the stock maintains full depth under the action and quite a few inches forward of the action. This smart design feature is very important. We have seen other low-profile stock designs that can flex or “hinge” forward of the action because there’s not enough wood material there. In fact, the only part of the stock that needs a cut-down profile is the front 10″ or so, where the stock actually rides the front bag. 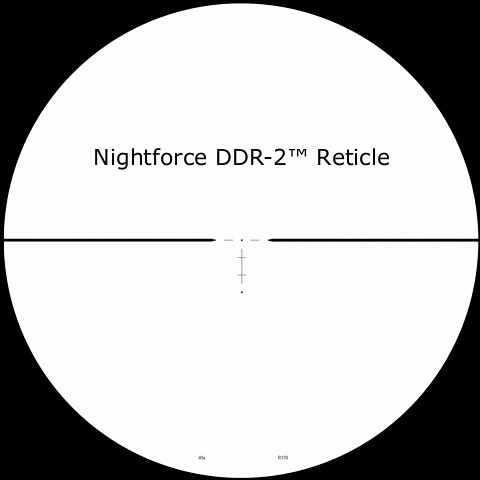 This particular stock features a “pop-off” magnetic cheekpiece, as well as a buttplate that adjusts for Length of Pull (LOP) via spacers. The action is by Pierce Engineering. This and other Master Class Stock designs can be customized with other features on request. Share the post "Master Class Low-Profile F-Open Stock by Bernosky"
Share the post "Bastogne Beauty — F-Classer from Master Class Stocks"